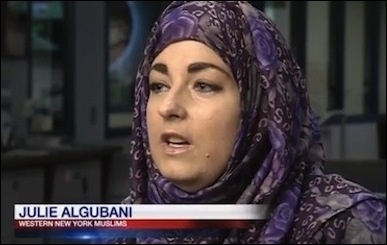 In reaction to the arrest of a local Muslim on terrorism charges, WNYMuslims Executive Director Julie Algubani said the Muslim community is confronted with "Islamophobia ... on a daily basis whether something like this happens or not." Following last week's arrest of Arafat Nagi, the executive director of a group called Western New York Muslims (WNYMuslims) gave an interview to a local (Buffalo) news program. WNYMuslims appears to be an Islamist group. Its founder, Faizan Haq, is a member of the Safa Group, a/k/a the SAAR Foundation, an organization with Muslim Brotherhood ties that is suspected of fundraising and/or money laundering for terrorist groups. Haq is or was a board member of Islamic Society of North America, a Muslim Brotherhood front that was an unindicted co-conspirator in the Holy Land Foundation terrorism financing case and has admitted having ties to the Hamas terror organization. As WNYMuslims noted on its website, Haq spoke at the 2013 convention of the Islamic Circle of North America (ICNA), another Muslim Brotherhood organization that has been probed by the FBI for ties to terrorism. WNYMuslims also participates in ICNA social events. 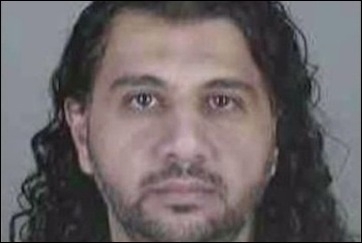 Arafat Nagi allegedly made two trips to the Middle East attempting to hook up with ISIS.